Burmese residents of the Bay Area were organizing themselves Monday to provide aid to victims of the catastrophic cyclone in Burma and to help each other cope during the agonizing wait for word of their loved ones back home. Several local grassroots associations of Burmese exiles planned to meet tonight to coordinate their fundraising efforts and to plan for a Friday rally at the San Francisco Federal Building and a Saturday prayer vigil at a Buddhist monastery in Fremont. Anxiety was high for many Burmese people here, as personal anguish mixed with political frustration that the Burmese military regime was moving so slowly to allow relief workers into the country. I was in contact with someone - my fiance -in Yangon late Tuesday night, by email and chat. (before that I was communicating with US embassy people, but that doesn't count, because their email is by satellite) She said that there is no power, and whereas running generators is common every day in Burma ( the power goes off every day), fuel is scarce and very expensive, so generators are rarely running. Therefore, people with mobile / cell phones can't charge them, so even if they work - they are dead. also, international phone connection still seems pretty dead. She said an internet cafe managed to get online, and was using a generator for power, and that there was a huge line of people waiting to use internet. She said, people were getting help with water supplies and some food. She lives in Hlaing Township, Yangon. I asked who is helping - she said common people, monks, and government people (and she's no fan of the gov). She and her mother and young nieces were scared for their lives the night of the cyclone, and at one point the roof tore off their house. I'll hopefully email or chat with her tomorrow night. I've been doing things here, kind of quietly, but intensely. contact with US Embassy in Yangon, etc. remove dangerous things and dead bodies. can be built. Care for orphans, or traumatized victims. done with higher safety and longevity standards. in a month, and 2 and 3 and 6 and 10 months, etc. And, this is the BEGINNING of the monsoon season. have to be donated and collected again, and again. shelter material, food staples, medical supplies -are not quite there yet. They need these things ASAP, and they are mostly arriving soon - hopefully. or very difficult. It's not so much a money issue at the moment. work fades away - often before the second phase 2 is completed. People get overloaded, and burnt-out. If it can't get into phase 3, then we haven't completed our job. SO - pace yourselves, and realize that Burma needs our energy and commitment FOR A LONG TIME. a lot from us. If it can't get into phase 3, then we haven't completed our job. it's rarely all delivered at once. Because, miss-use, ill-use, or worse, can happen in chaotic conditions. Let's collect as much as we can, and dole it out with clarity and purpose. And then again later, and again. Money can't be wired or transmitted to Burma - it's carried in. others will be going. It can be doled out to agencies in Burma, or to specific needs, etc. It is nice to have some 'personal human connections' to: an orphanage, school, village, widow, etc. You Are Cordially Invited To Join The San Francisco Bay Area Burmese Community Meeting. 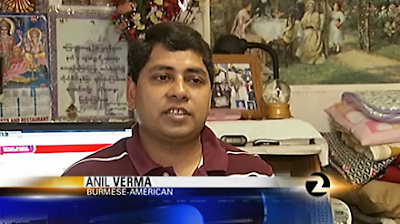 What: Burmese community meeting in San Francisco bay area. When: Wednesday May 7, 2008. At 7:00 p.m.